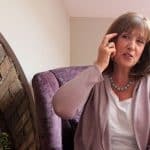 Book a free 15 minute friendly chat to see how EFT tapping can help you. EFT helped me, let me help you. Originally from a corporate background, I decided to move a new direction after becoming ill with Chronic Fatigue. Conventional medicine was unable to help me so I had to look at alternative therapies for a solution. My journey led me to Tapping/EFT, it really helped me to change the way I thought about myself, which is why I love using it for myself and with others. You can meditate anywhere at any time. Some people can click straight into a meditative state, while others find it easier if they are in a certain space, at a certain time, with certain things around them (candles, essential oils etc). A meditation can last just a couple of moments – taking a breath or even washing your hands mindfully can be a meditation. In addition to doing tapping with clients, I also offer energy healing. We are more than just a physical body. We are made up of energy, and sometimes this energy can get out of sync due to stress, busyness, trauma etc. When I am doing a healing, I am working to provide healing, balance your energy and channel whatever it is that you need at the time. Someone described a healer as someone who acts as a gentle set of jump leads and that the energy is then drawn to where it is needed.